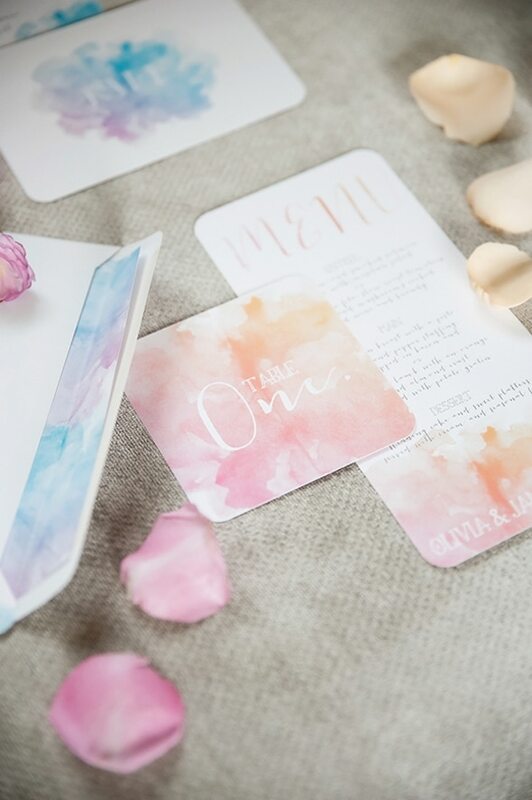 We’re head over heels in love with the watercolor wedding trend. There are so many beautiful ways to incorporate this theme into any event, especially a baby shower! 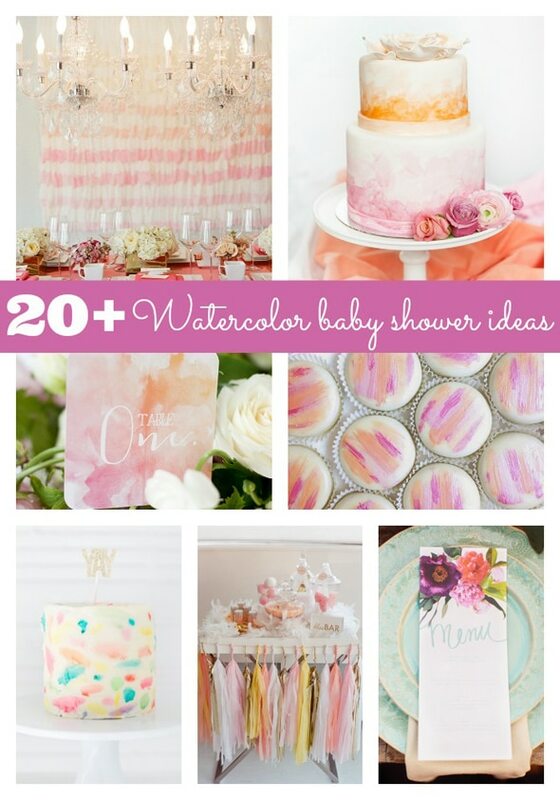 These 20+ Watercolor Baby Shower Ideas are perfect for a fun, modern, and artistic shower that will wow guests and leave people talking long after the baby is born! 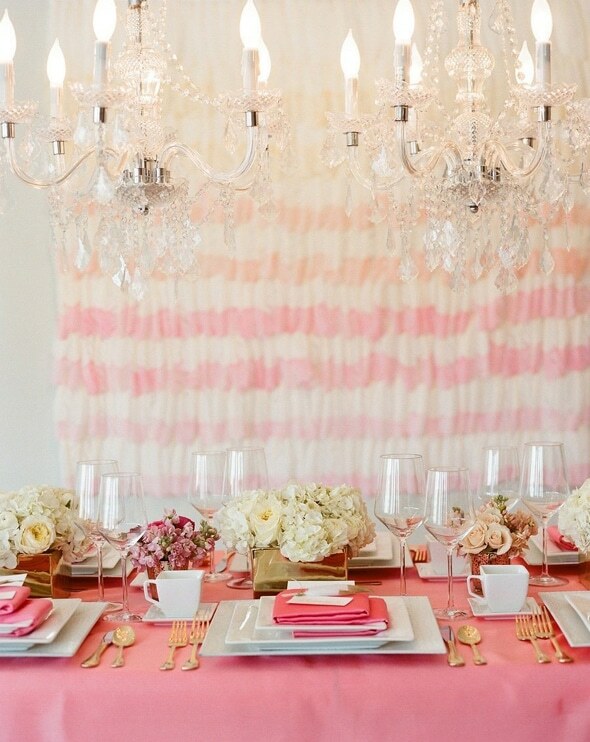 How gorgeous is this pink ombre feather backdrop?! Photo by Liz Banfield via Style Me Pretty. This would be great to incorporate into your baby shower as a dessert table backdrop or fun photo booth backdrop! How fun is this “Bliss Beauty Bar”! Perfect for the mom-to-be and her guests, this “Bliss Bar” is a baby shower must-have. Mom-to-be sure needs to do some relaxing before the baby arrives, and this is the perfect thing for her! Photography by Liz Banfield via Style Me Pretty. We’re loving this idea! This watercolor baby shower guest book from Pretty Proposal on Etsy is great for guests at the shower to leave a sweet message for the baby. Mom can then hang the art in the baby’s nursery for a forever keepsake! 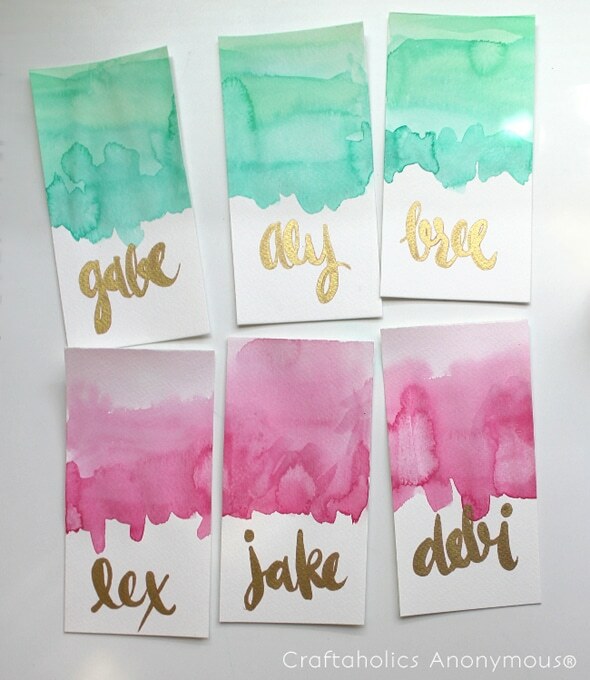 Guide guests to their seats with these fun DIY watercolor place cards via Craftaholics Anonymous. 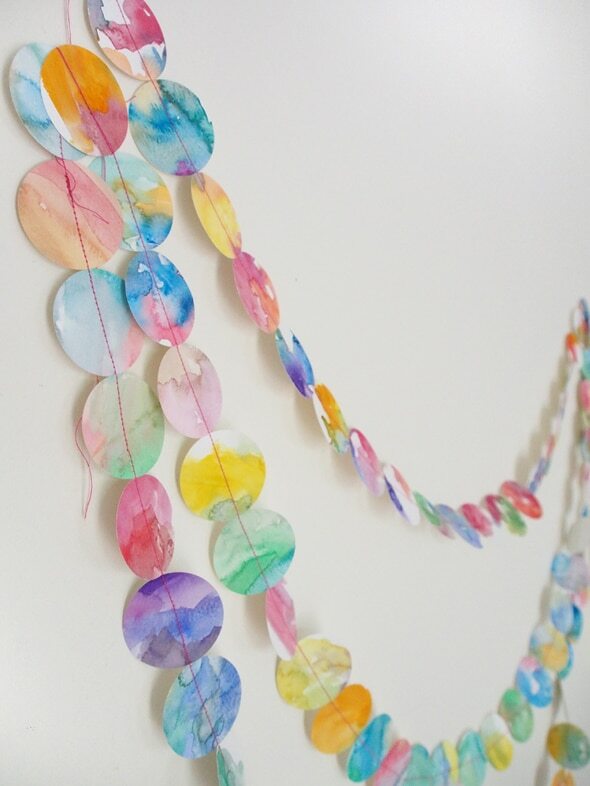 If you’re really feeling crafty, you can make this pretty DIY watercolor garland via Paper & Pin. You can even attach baby photos of mom- and dad-to-be for some fun personalization. 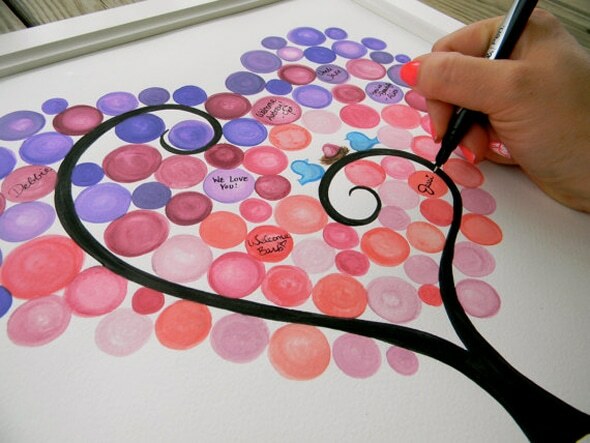 Decorations are not the only thing you can DIY with watercolors! 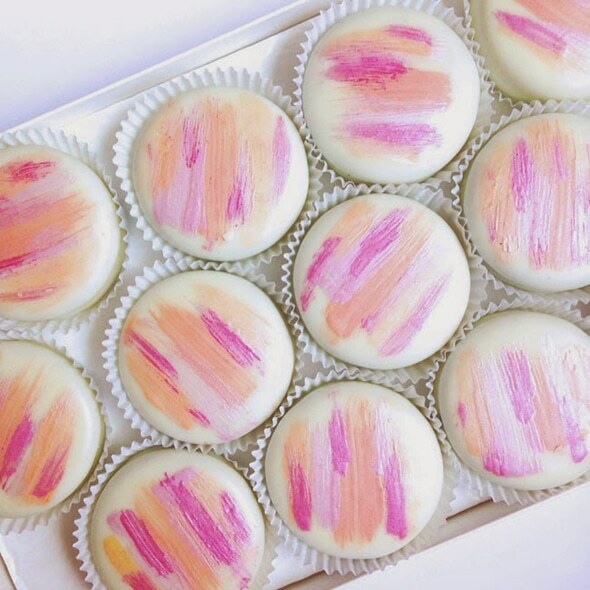 These gorgeous watercolor sugar cookies via Maddy Hague of Splendid Supply Co. for Momtastic are the perfect detail to add to your dessert table! 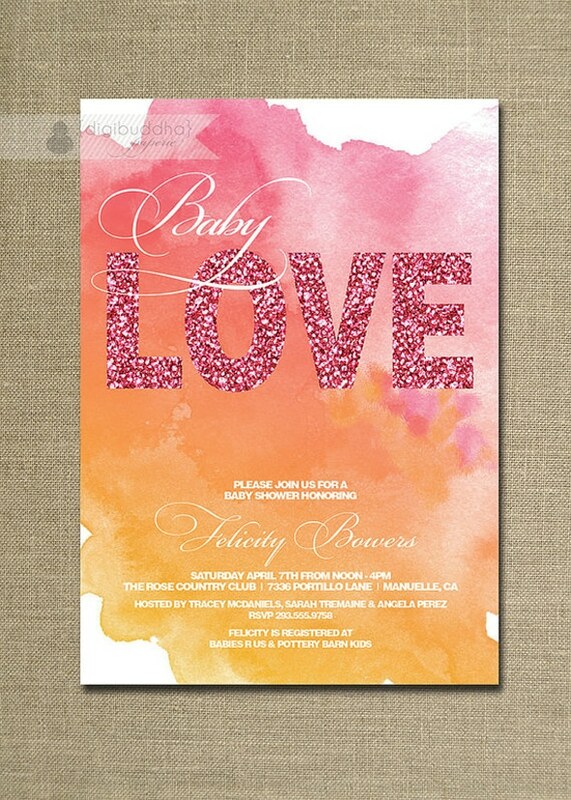 This pretty “Baby Love” baby shower watercolor invitation from Digi Buddha Paperie would be the perfect introduction into your gorgeous watercolor themed baby shower! Feeling artsy? Try your hand at a watercolor cake like this one from Sprinkle Bakes. Just imagine how pretty this would look on your dessert table next to some watercolor cookies! 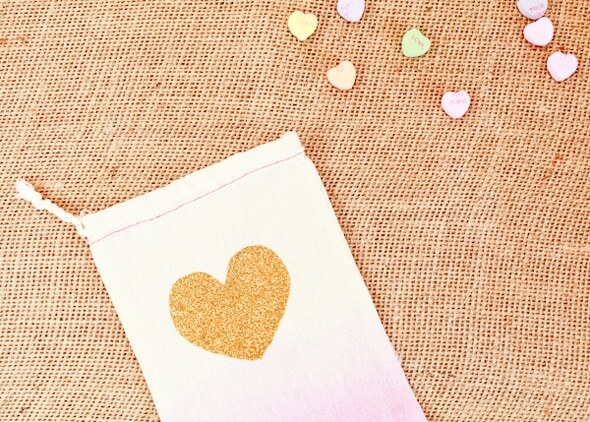 Your baby shower favors would look absolutely perfect in these DIY watercolor favor bags via Oh So Beautiful Paper. The glitter heart is a perfect little touch as well. Here’s some more cake love for you! Having a girl?! 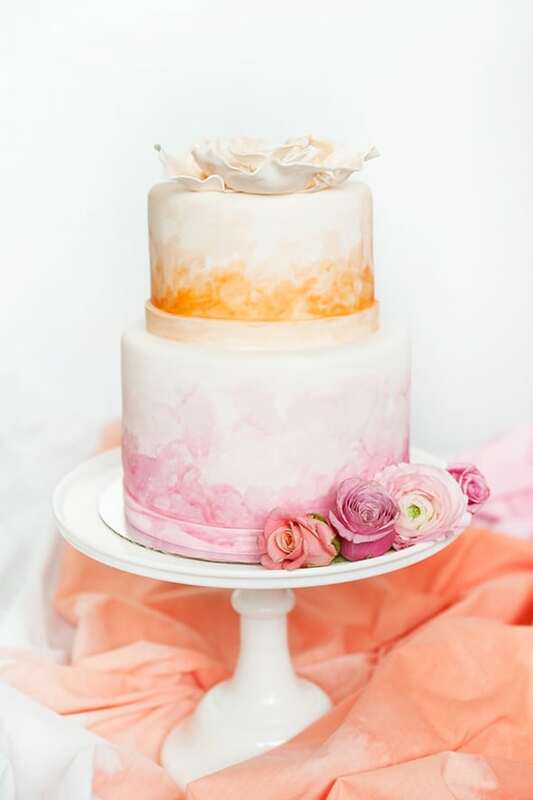 Add this pretty orange and pink watercolor cake by Sweet Bakery to your desserts! Photo by Twig & Arrow Photography via Magnolia Rouge. 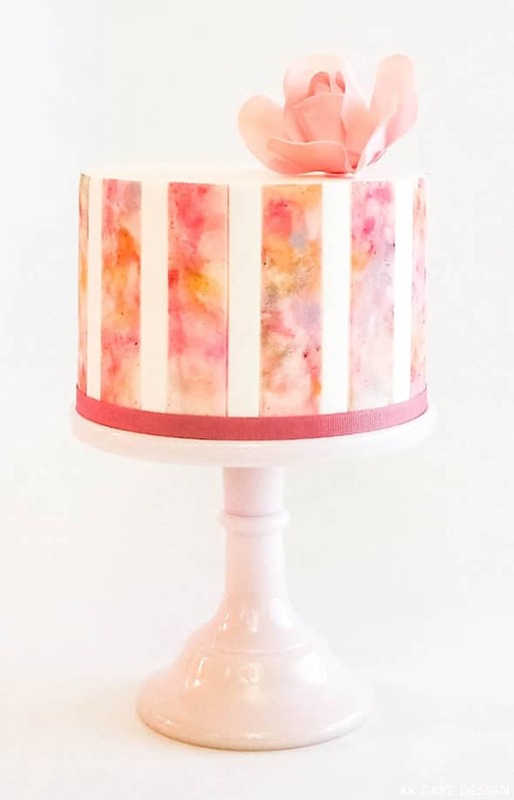 Here’s another watercolor cake beauty by AK Cake Design via The Cake Blog. 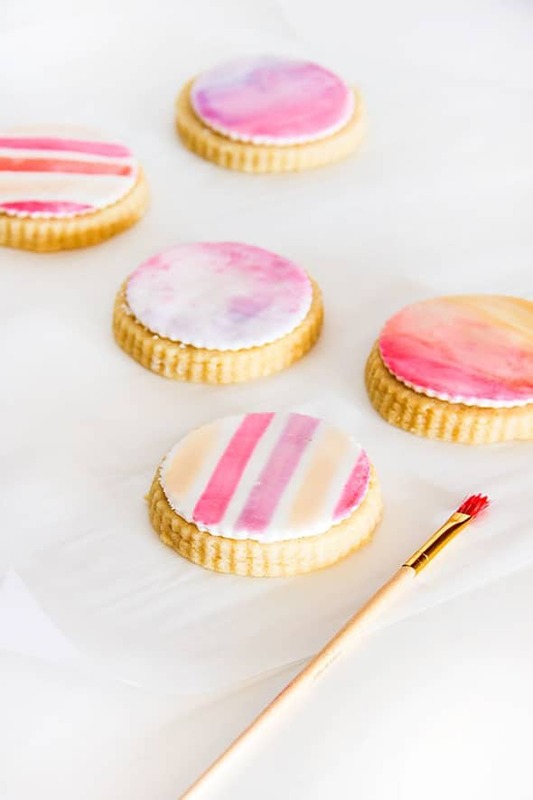 How gorgeous are these painted watercolor Oreo cookies by Sweeties by Kim on Etsy via Pen N’ Paper Flowers? Add them to your gorgeous watercolor cake and cookies for a perfect dessert spread! 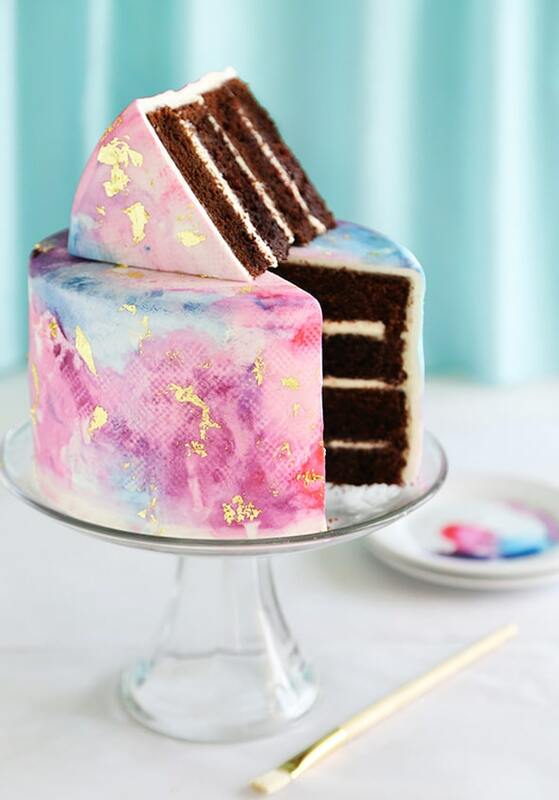 This oh-so-beautiful DIY Abstract Watercolor Cake via Sugar & Cloth looks sweet with this gold glitter YAY topper! 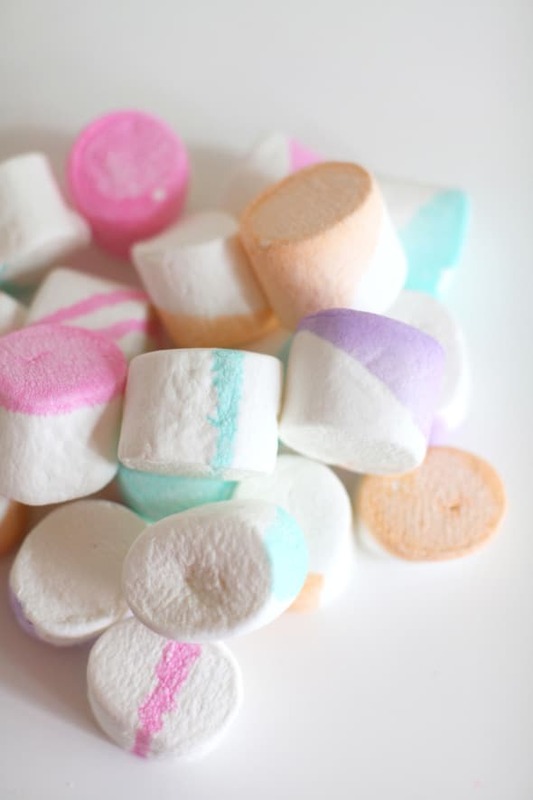 You can even get crazy and DIY Watercolor some marshmallows via Style Me Pretty. 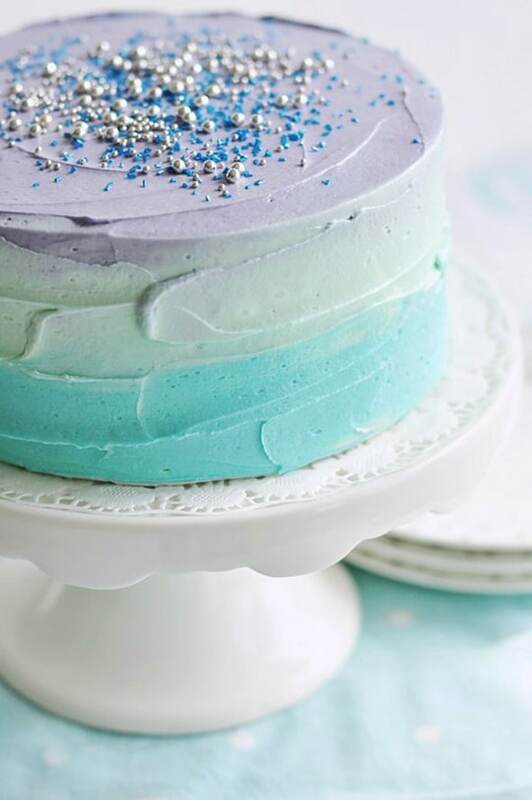 If you’re celebrating a baby boy, this pastel swirl cake via Sweetopolita would be the perfect addition! 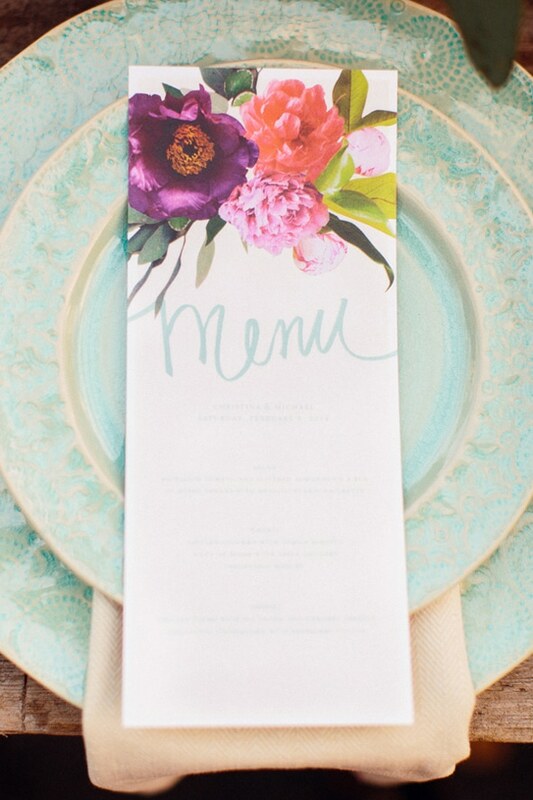 This watercolor table and menu inspiration via Ruffled is so pretty! Photography by Love by Serena. 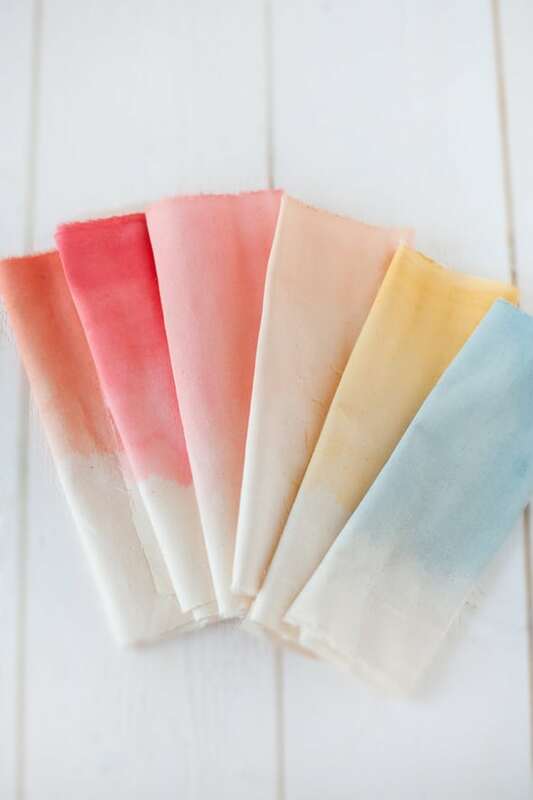 If you love crafty projects you can even DIY watercolor your napkins like these from Griottes. 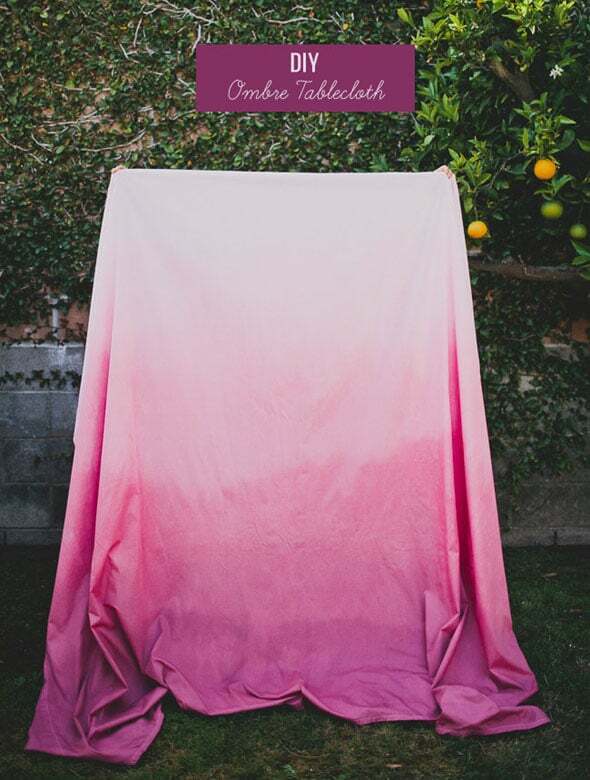 How fun is this DIY ombre table cloth via Green Wedding Shoes?! 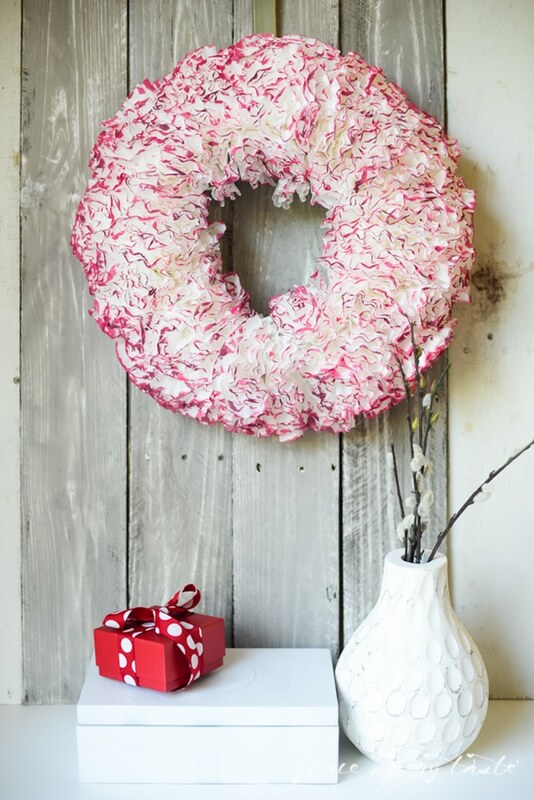 This DIY coffee filter watercolor wreath would be the perfect addition to your baby shower decor. Project via Place of My Taste. These beautiful watercolor table numbers and stationary via Magnolia Rouge would be perfect for an elegant baby shower! Photography by Twig & Arrow. 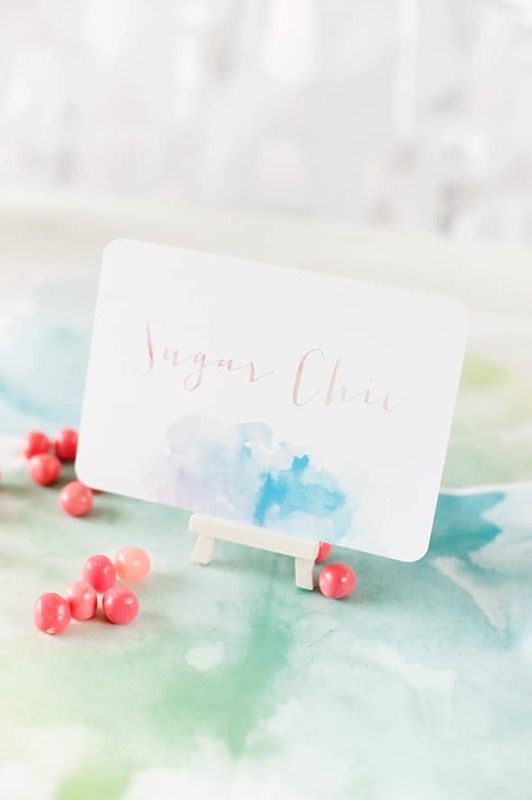 Watercolor place cards or food labels like these ones via Magnolia Rouge will really make your tables stand out! Photography by Twig & Arrow. 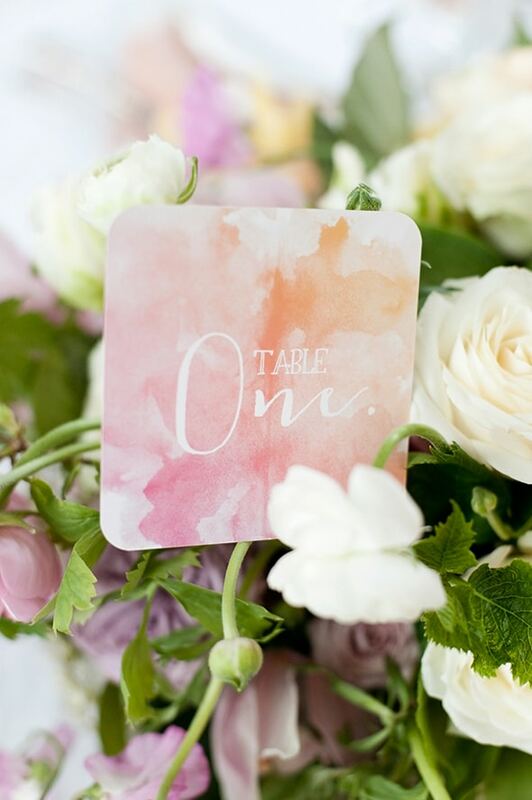 Watercolor table numbers via Magnolia Rouge. Photography by Twig & Arrow. So, what do you think? 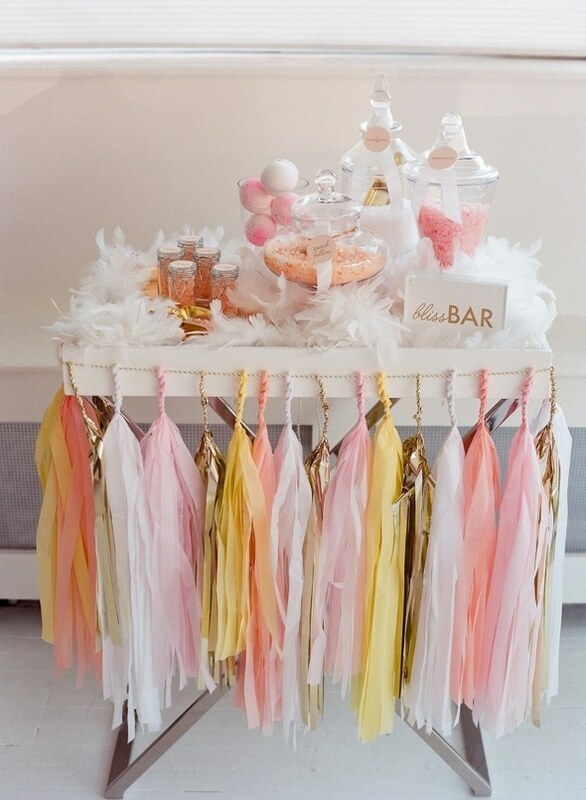 Do you think this theme would be something you would love for your upcoming baby shower? We love how it’s so different and elegant. It would even be perfect to host one at a wine and vino place! Let’s us know your thoughts in the comments below! Plan a beautiful watercolor themed baby shower with these gorgeous party products! Oh wow this is gorgeous! What a special baby shower, and I love how they even decorated the cookies in water color! Those cookies look amazing! Now I want to toss a baby shower! I love the Bliss Bar & the tree! So adorable. OMG! I love these ideas and they are perfect for a boy or girl.